Maggie’s Culture Crawl is an 8 mile part night-walk, part cultural adventure. You’ll get exclusive access to unique buildings, encounter talented performers and enjoy delicious food and drink to keep you going through the night. This year’s Culture Crawl will be on Friday, 23rd September and will take in the delights of Oxford Castle Unlocked, Magdalen College, The OVADA Art Gallery and the magical Story Museum, but that’s not all – there will be plenty of surprises along the way! 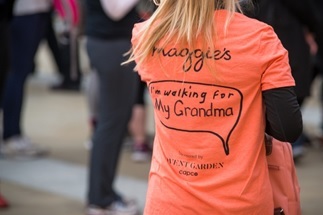 The evening will start at 6.30pm the Saïd Business School, Egrove Park site (where there is free parking) and end at midnight at the Maggie’s Oxford Centre with a party celebrating the walkers’ achievements. This is an invaluable opportunity to have lots of fun while supporting the Maggie’s Oxford Centre, which provides free practical, emotional and social support for people with cancer, their families and friends.